We offer trasportation of some unique items. 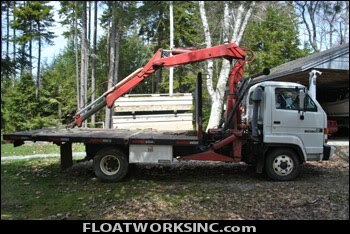 We will source moorings pickup and devliver to your location as well as set the stone in proper location based on GPS location supplied by the permitting agent. In some cases it is nessary to store your Float Remotely. For this Floatworks Offers Storage at our facility. Safe removal and proper storage available Contact Float works For more information. Rough seas can do a number on things. 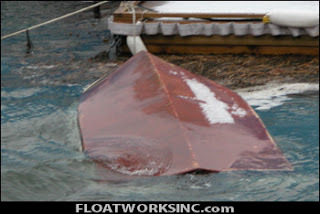 Float works receives a call for a capsized boat and lost motor. 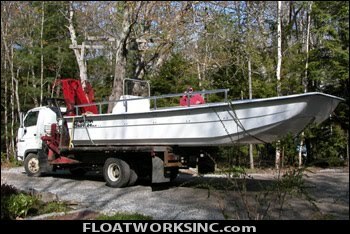 Float works Dives and saves the motor. 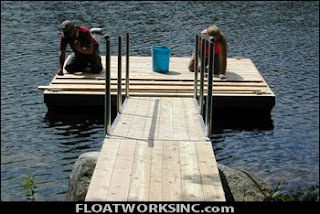 Your Lake Water access can Use FloatWorks Too ;) Our Water Access System are designed for the wear and tear of the oceans and be assured that our systems will work at your lake front as well. FloatWorks Inc. 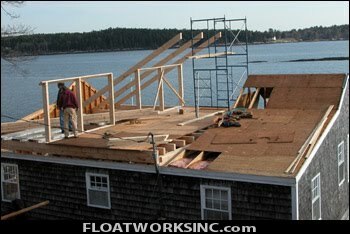 Does take on general contracting jobs like this cottage conversion to 3 plus season living. Adding a second floor and other upgrades like post and bean construction and custom window design and installation. Basically rehabitating a water front structure. We transitioned to aluminum about 10 years ago with great success. 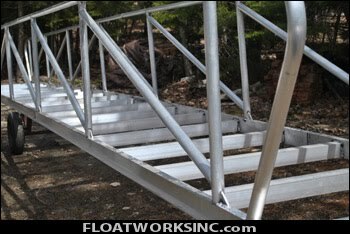 The durability clean lines and strength agaist the elements makes the aluminum runway the perfect soltion for your water access. Our runways are design for easy installation and removal as well as long lasting last and appearence. All our runways are custom fabricated onsite. Specific width or length requirment or other custom details are not a problem.